In the enchanting legends of Arthur and Guinevere, lovers are united as they tie the knot” with the magick and mysticism of Celtic handfasting traditions. Handfasting, an Ancient Celtic ceremony inspired by the Greeks, Etruscans, Romans, and Norsemen, is regaining popularity within and beyond the Wiccan community as modern couples seek alternative ways to honour their love-bond. 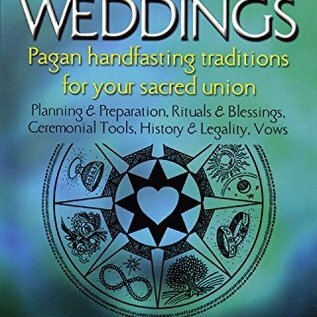 Joy Ferguson’s Magickal Weddings is a handbook that helps to bring romantic handfasting traditions from antiquity into modern-day ceremonies. 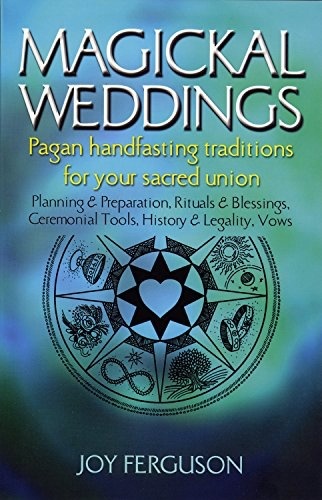 It is also a practical wedding planner from start to finish, filled with charts and worksheets, to help any couple organize their handfasting. This complete guide offers: suggestions for vows; ritual elements; tips on how to choose the right day to handfast; different ways to include and accommodate friends and family members in the ceremony; and the symbolism behind elements like cords, flowers, decorative elements, and gemstones.